This article is part of an ongoing series of interviews for my exclusive column on Thriving Culture. The intention of this series is to give you, as a reader, a sense of where and how culture is thriving in the solar industry, and how you might begin to strengthen company culture in your own company or place of business. I conducted this interview with Michael O’Brien, Director of Sales at A&R Solar, which currently employs 40-50 team members with 7 teams of installers. I chose Michael because he has the ability to provide valuable perspective on thriving culture through the eyes of someone on the team. Tamara: How would you describe your path to becoming the Director of Sales with A&R? Michael: I was very fortunate to have joined and participated in a graduate program called the Bainbridge Graduate Institute that holds a wealth of who want to change the planet in using business for good. It was founded some years ago with the idea that we could train business leaders to think about a triple bottom line, rather than a single bottom line. People, profit, and planet aligned. I was fortunate to get to know Dave Kozin, who is our current CFO and our first employee at A&R Solar. He’s been here probably about 8 years, and prior to that I had been a sales professional for about 10 years and had recently done very well at a software company. Very monetarily fulfilling, but certainly was not perfectly aligned with my fundamentals. So I tracked Dave down for a lunch and checked in on his experience in the solar industry, it sounded very intriguing, on both a technical and a world-changing level. And he said he’d be interested in talking once they saw the outcome of the Washington state legislation. It did not go through as we had hoped, but we were so busy and he was so interested in growing the company in a different direction and having someone at the helm who’s had a lot of sales experience that I was fortunate to be brought on in October of last year. Tamara: So what does a thriving culture mean to you? Michael: To me, a thriving culture means that we have to care for one another in a way, which pushes past our respective job roles. My favorite form comes through public appreciations where we feel that the work and the care that we have for one another warrants that you stand up and announce it to others. I see demonstrations of that all the time. I also think that a thriving culture means that you have resiliency when times are difficult and tough. In Washington, solar is also known as the solar coaster where we have boom years and we have bust years. Last year was a boom year; this year is a bust year. Although we continue to grow, it’s tougher to pull in jobs, tougher to put food on the table, and a thriving culture allows you to persist through those times without relationships fraying. And finally I think that a thriving culture means that we live and breathe quality and craftsmanship and an ethical alignment to the needs and desires of our customers. Tamara: Where do you see aspects of a thriving culture at A&R? Michael: Back to the quality and craftsmanship – when it’s very obvious that your leadership all the way down is focused on engendering that level of quality, it creates pride -- pride in the work. And that very obviously extends to our customers. Sometimes you might think of the customer experience as seeing modules on the roof and conduit running down walls and their monitoring system on their phone app. There is a lot more to it than that. If you have a thriving culture that embodies that quality and craftsmanship, it’s how you communicate, it’s how you follow-up, how you demonstrate accountability when things go wrong. So I see aspects of that every single day. As much as that extends externally to our customers, it makes people beholden to those qualities in each step of our own processes. We’re not going to pass a broken baton to the next runner. It’s going to be whole, and we’re going to make sure that the quality is in our own processes, as well as outside of our company. Earlier, I mentioned appreciation and celebration. I see people going out of their ways to celebrate birthdays and anniversaries and milestones with purpose and intention. It’s not an, ‘oh, I forgot.’ It’s ‘let’s set time aside,’ and that’s very obvious to me and feels great, too. I must say I’ve worked in some funny offices before, but humor is a core part of this culture. There’s a lot of ribbing that happens here, but because you know that people love and respect you, it works rather well. Another aspect of thriving culture that stands out for me here is how people are continuously trying to get better. What I mean by that is people are attending conferences, people are taking the NABCEP exams at record rates, people are speaking at conferences, and A&R pays for all of these activities. In addition, there’s an educational stipend that we all have access to, in our second year of employment, which allows people to go learn Swedish, or go to a stand-up comedy class, or do whatever you want that makes you feel like you’re developing your person and not just your skill set. Tamara: How does the thriving culture or lack thereof, affect your ability to do your job? Michael: When I have confidence from the leadership at A&R Solar, from the CEO to the CFO, that have and share the same commitments to quality, to furthering the education, to ethical standards with our customers, I feel very confident about leading my team in the same direction. I think that when our CEO can send an exploding cat .gif to literally every person, when I see that people can be vulnerable enough to send silliness on through email and be silly in person, it allows a level of vulnerability and accessibility that we wouldn’t have otherwise. I think that if you heard the founding story from Reeves, it was about being able to do excellent quality solar work, but also treating employees with incredible care and kindness and intention, and they set the tone very early ten years ago -- our ten-year anniversary is in March. Tamara: So what role do you play, if any, in creating a thriving team culture at A&R? Michael: I’d say the role of a solar salesperson is a sandwiching of a whole bunch of technical knowledge; the need and the ability to engage with a wide and diverse type of customer or people across Washington and Oregon; and a whole bunch of internal passion to improve the energy landscape. Add to that what’s become a ridiculously competitive environment and you have a very difficult job. I kind of see myself as an enabler and a coach. What I mean by ‘enabling‘ is that I’m the bulldozer that removes obstacles and gets stuff out of their way. Salespeople are the engine of any company and that engine needs lubrication, it needs modification, the whole car needs the boulders moved off the road -- and that’s my job. I think my other obligation is to create a culture of both competitiveness and cooperation, simultaneously. And what I mean by that is salespeople, by nature, are very, very competitive and in cultures that are not thriving, that can lead to a lot of backbiting, a lot of sandbagging, a lot of destructive behavior and yet, meanwhile, you want the drive and the ambition to not be lost. In order to do that, you need to simultaneously create both a competitive culture and a cooperative culture where there are literal benefits to helping the salesperson next to you to succeed while you also succeed. That’s a difficult balance to achieve with salespeople. They want to be the one at the top of the leader board; they want to be the best. But how do you create an environment where they didn’t get to the top of the leader board by silo-ing themselves? How do you get them to share knowledge? How do you get them to share best practices? And I believe that there are very few cultural and financial ways to do that. Tamara: What are some of those cultural and financial approaches that you use? Michael: Number one, as a sales manager, I need to make sure there is room for all the voices. I might have a quiet or an ostentatiously loud salesperson, and I want to make sure they have equal time at the sales meeting to tell the stories about how they won a job so that everyone can benefit from their selective set of expertise. That’s an example on the cultural side. On the financial side, we build programs that reward salespeople both for great individual performances and team contribution. While this is still a commission-based business, we strive to find ways to provide commission for team achievements as well as individual. Tamara: What primary challenges have you seen or experienced which needed to be navigated in the process of supporting people and creating a positive company culture, and how were some of those overcome? Michael: I think fast growth in any industry or company can create a lot of potential challenges and I think we made a decision awhile back, because office space was so scarce and we were growing so fast, to split our organization into two, where we have an office staff, office skills, and administration staff in one building and field, and warehouse and technical staff in another. I can clearly split this culture down the middle in a way that created challenges not only through communication but also through culture. To remedy that split, we’ve been on the hunt for a new building for over a year and a half that we could both afford and that could house all of us together and I am pleased to say we just signed a new lease on Friday. Tamara: In closing, is there anything you’d like to add? Michael: Solar is absolutely booming. I think we have around 210,000 jobs in the U.S. in solar right now, and by this time next year, it will be doubled. It’s a 50-state market now, solar is polling as the most preferred energy source of any in the United States and for instance, just yesterday the U.S. Navy just made the largest renewable energy acquisition ever in U.S. history. The horse is out of the barn. My thought, as we run forward so fast, is that we have to be sure that we are building a resilient and diverse workforce to make sure that this unique technology is getting into the hands of all people and not just the people that can afford it. So I think in terms of culture, your culture needs to be as reflective and diverse as our country, in order to get there. So, when I was thinking about thriving culture and how to build a culture in which solar doesn’t become the next energy source that dies off in 40 or 50 years, it will be through making the workforce as diverse as the customer base. I’d like to think that A&R is doing a decent job of that so far. 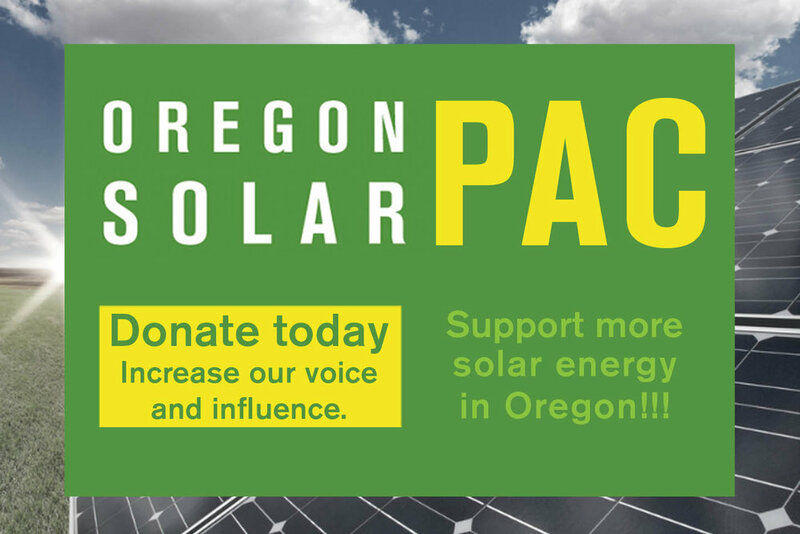 What is Oregon's Solar Potential?